Visiting Singapore was a small bone of contention between Michelle and I, as she couldn’t find a sufficiently attractive reason to visit the small nation, other than ticking off another country off the 196-strong list. I on the other hand, simply couldn’t walk away from a country known for its structural engineering marvels. Alas, the easy connections from Malaysia, more specifically from Melaka, and the affordable flights to Indonesia (our following destination) all played in my favour! 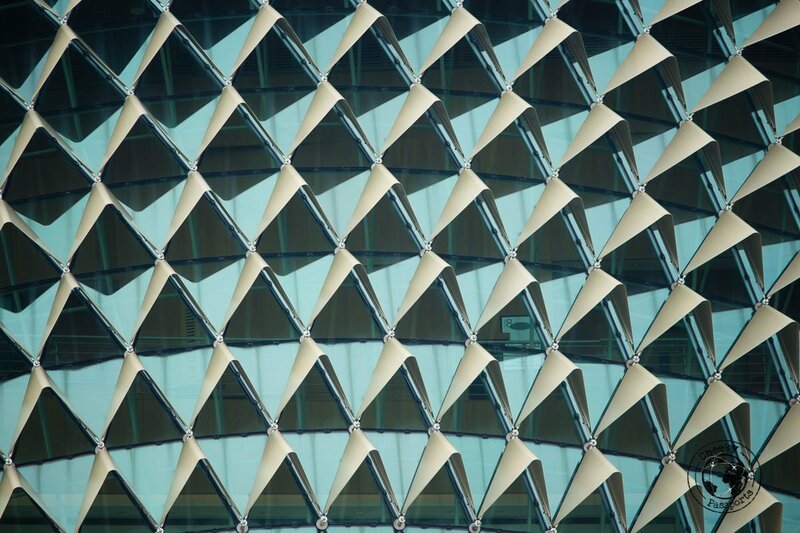 Read on to find out how to spend 3 days in Singapore (without arguing with your partner). Spanning over an area of just 130 square kilometres (a good chunk of which is reclaimed land), the peninsula of Singapore is considerably smaller than its neighbours. Covering distances in Singapore is not difficult, and the task is made especially straightforward thanks to a very well planned public transportation system. The backbone of this system is the MRT metro train line which is composed of 6 routes covering most of the territory. 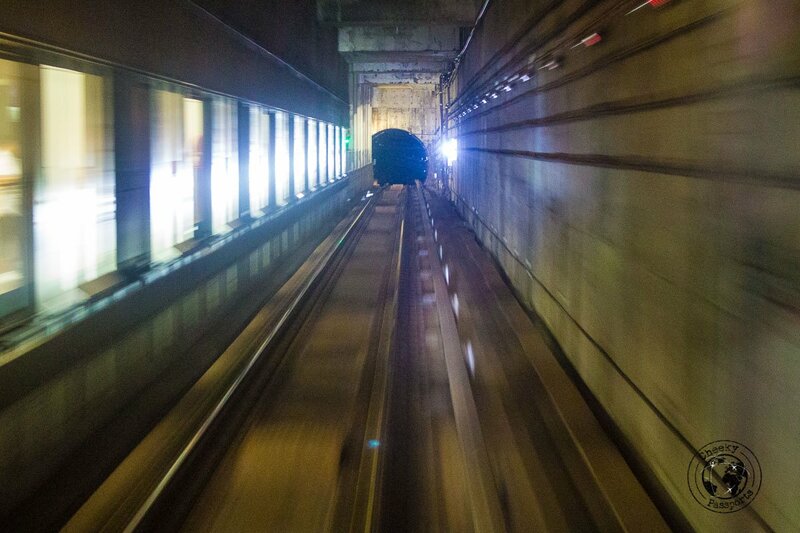 The MRT is further complemented by a network of buses, thus driving efficiency even further. The most convenient ticket for those wondering on how to spend 3 days in Singapore is the (3-day) tourist pass, although 1- or 2-day versions also exists. The credit card-like token allows for indefinite usage of both MRT and bus routes, bar a few exceptions which are clearly highlighted. It is also quite affordable as it costs only SGD $30 (around € 18.70), including a $10 deposit, fully refundable upon return of the token. Not all stations can refund the token, however the most popular stops, like the ‘Changi Airport’ or ‘Bayfront’ stops near the Sands do. These are also clearly listed in the small instruction booklet and network map you are given along with the token upon purchase. For those who’d rather take a taxi, Singapore is home to the headquarters of the Grab App, so you are correct in assuming that Grab cars are immediately available! Competitors Uber are of course catching up too! Traffic is an issue. The MRT can help get you places in time! Singapore is an expensive compact city with formidable public transport throughout, so rather than asking ‘where should I stay?’, you’d better ask ‘how much does it cost?’. From the very lavish Marina Bay Sands and Sentosa Resort, to the backpacker guesthouses available in both Little India and Chinatown quarters, the options are varied. Read about these areas further down and check the booking window below in search of your perfect lodging options. During our 3 days in Singapore, we stayed at the Oxley Blossom Hotel. While it is not comparable to the more upmarket Marina Bay Sands, it did sport a private bathroom, a/c and a TV, and best of all it wasn’t too hard on our pockets! If on the other hand, you are staying in Singapore for a longer stretch, and are looking for a weekend gateway from the city, the islands of Bintan and Batam are known for their collection of luxury resorts. What’s more, the islands are only a 30 minute ferry away! The undisputed centre of attraction in Singapore is the Marina Bay area and it’s many attractions; indeed, it merits its own post which you can read by following this link. Most of us have heard about the Infinity pool at the Sands. Did you know however that you need to book at least one night’s stay in the hotel to be allowed access to the pool? 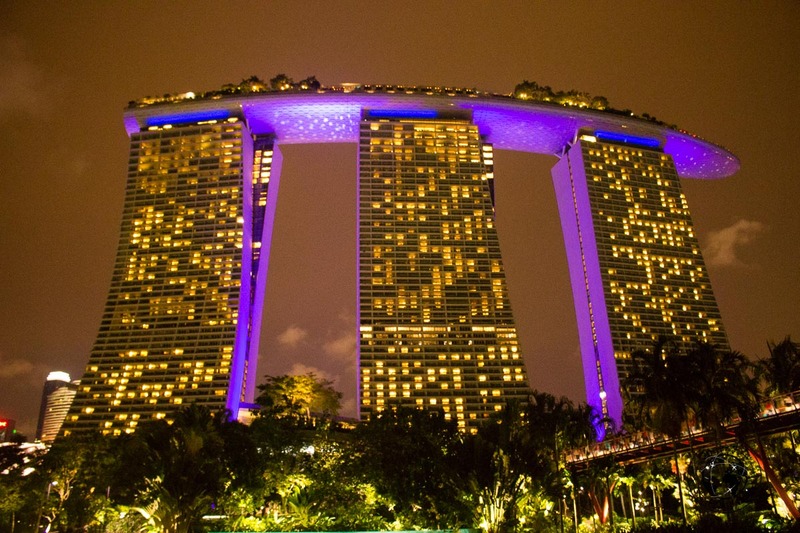 If it fits your budget and you don’t mind spending a day (and night) there, here’s a quick link for you to check availability at the Marina Bay Sands. 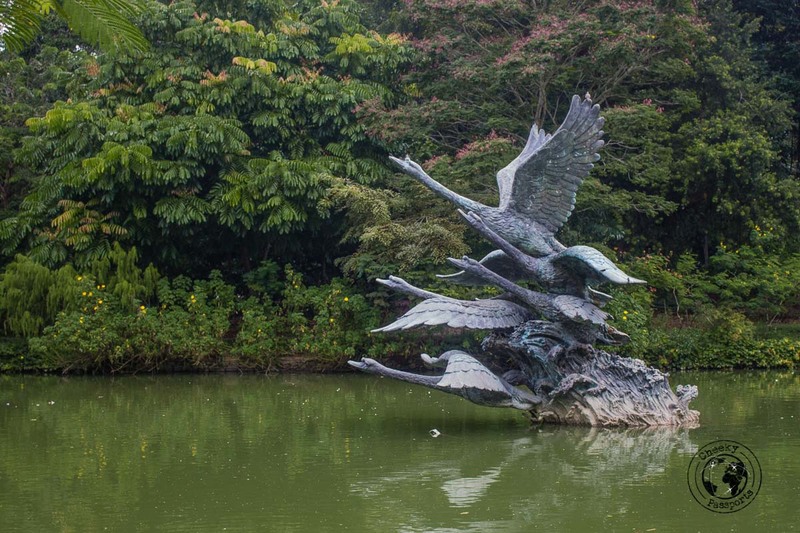 How does a botanical garden achieve the highly prized UNESCO World Heritage Site status? 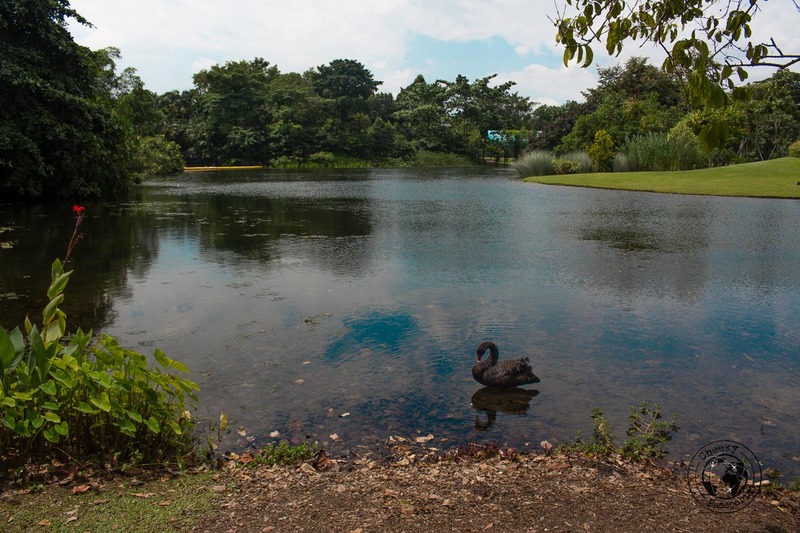 Singapore’s Botanical Garden is an 83-hectare area spread within the central city’s territory. It is home to a wide variety of fauna, carefully curated lawns, a virgin rainforest (reputably older than the garden itself) and a concert stage drawing crowds to occasional free performances within its perimeter. What is not immediately evident however, is that the garden is actually an important centre for science and research, particularly on matters related to plant conservation. And that is not a recent title either, as the gardens were planned for this purpose way back in the 19th century, gaining notoriety for its advances in the cultivation of rubber plantations and evolution in the growth of hybrid orchids. 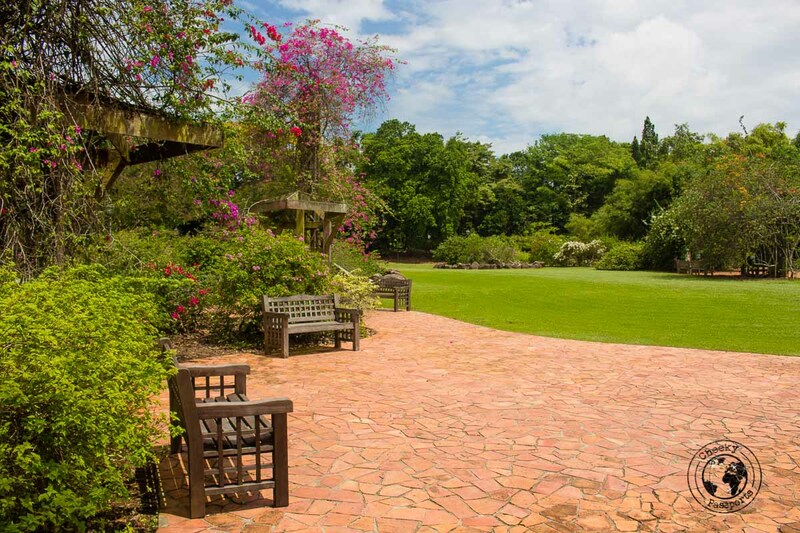 Besides its scientific importance, the gardens are a refreshing respite from the busy city, and a welcome break for those who may be longing for some green space. What’s more, entrance is free of charge (bar within a small specialised section known as the Orchid Garden) and the park is open up till midnight! 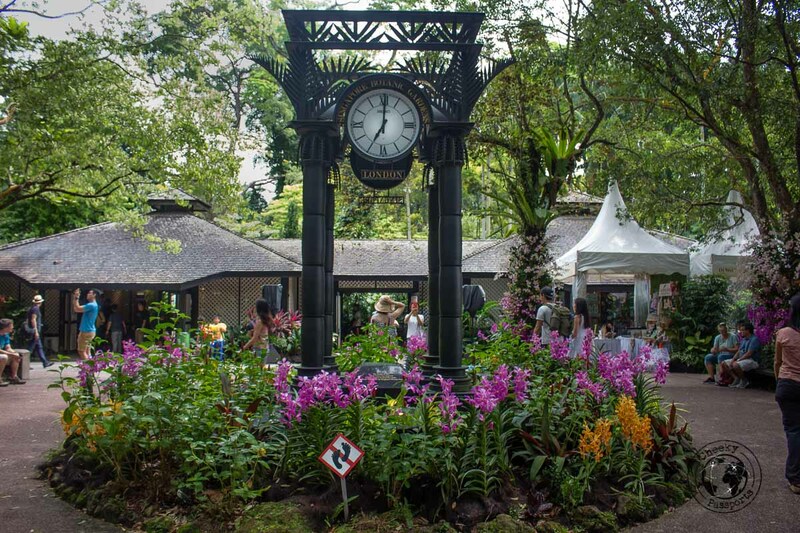 You can get there by stopping at the ‘Botanic Gardens’ stop along MRT’s Downtown and Circle Lines. 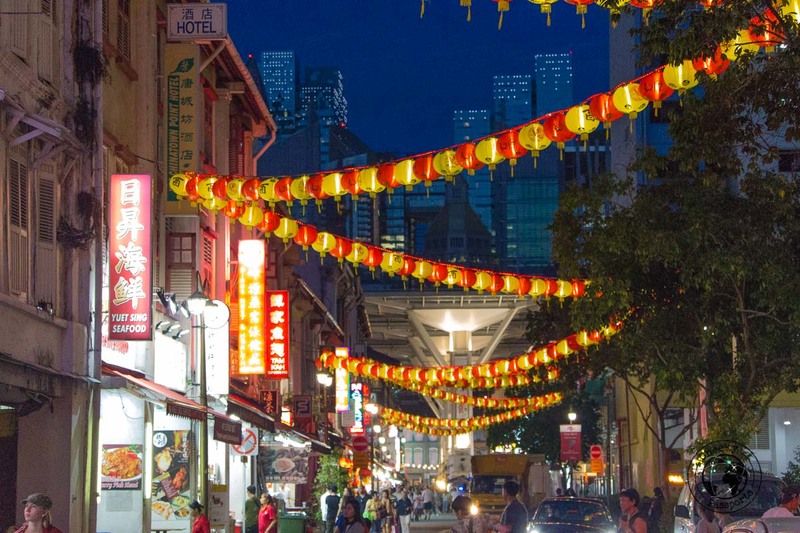 Although the Chinese influence is present all around Singapore, the traditional Chinese district can be visited by stopping at the conveniently named ‘Chinatown’ stop along MRT’s Downtown and North-East Lines. The street market is found immediately upon exit of the metro station and spans down a couple of roads. 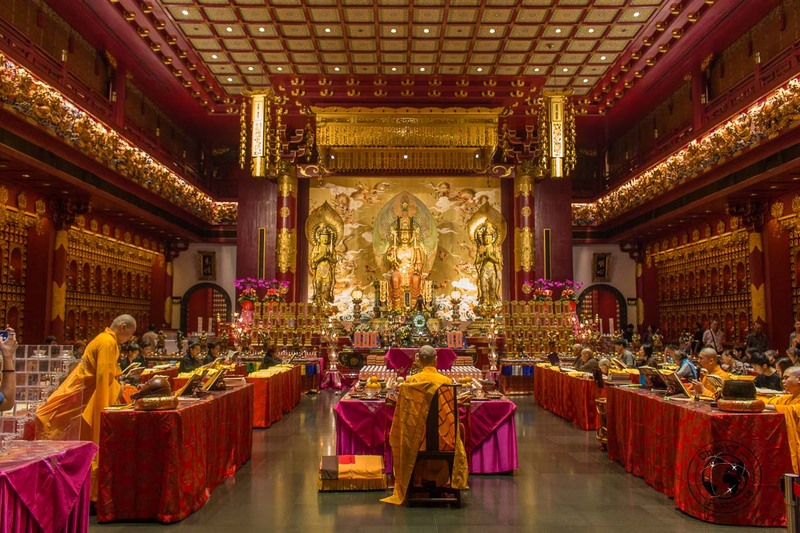 Besides the particularly pleasant Instagram-worthy architecture in this area, the main attraction is the Buddha Tooth Relic Temple a couple of blocks further from the street market. This four-tiered temple is, surprisingly, very recent, having been constructed only in 2007. 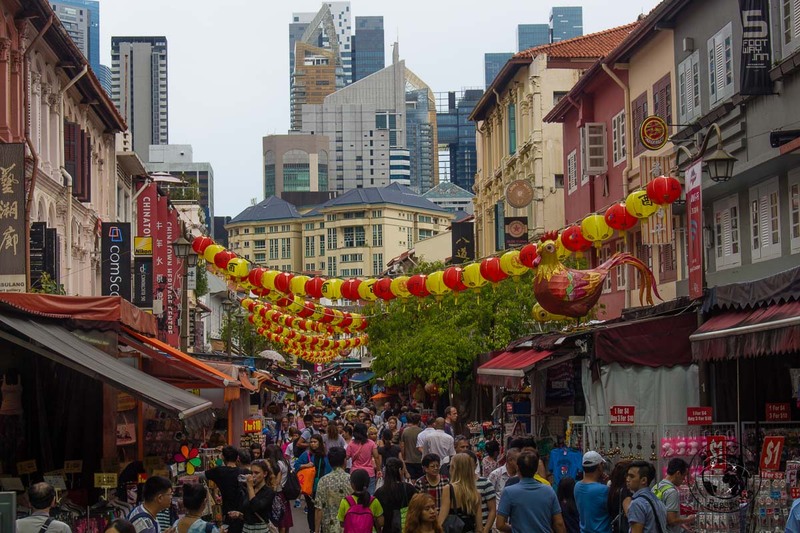 For those who are more interested in culinary attractions, Chinatown is home to ‘Hawker Chan’, one of only two street hawkers (the other also hailing from Singapore) to be awarded a Michelin Star. His original stall ‘Hong Kong Soya Sauce Chicken Rice and Noodle’ is located at the food court on the second floor of the Chinatown Hawker Centre, amongst a wonderful selection of very cheap eats. He has now also opened a nearby restaurant in Smith Street. 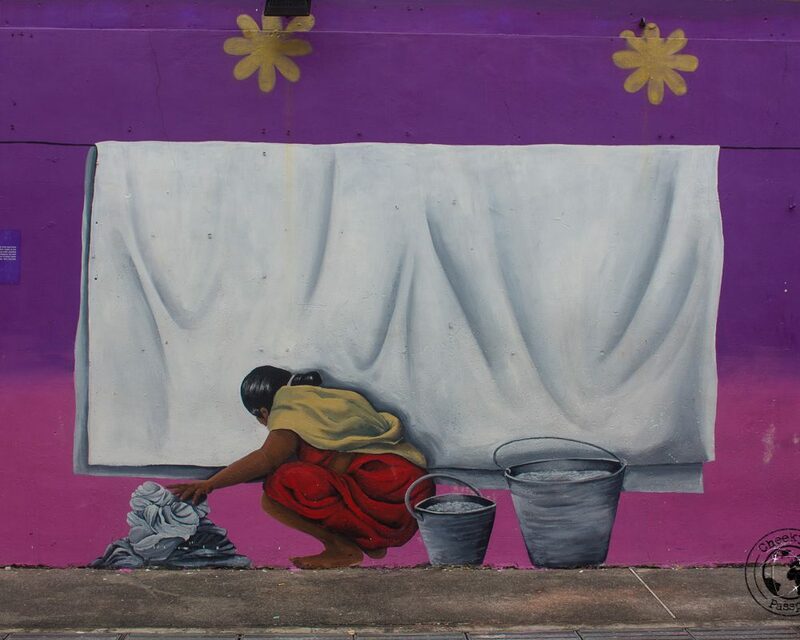 Little India is Singapore’s backpackers district, as it is where most affordable accommodation can be found. Although some hostels are well-established, we caution our readers to check the reviews well, as some of the cheaper places are more akin to a red-light brothel. As you would expect, the cuisine in the area is also very authentic Indian, which is usually good news for vegetarians! 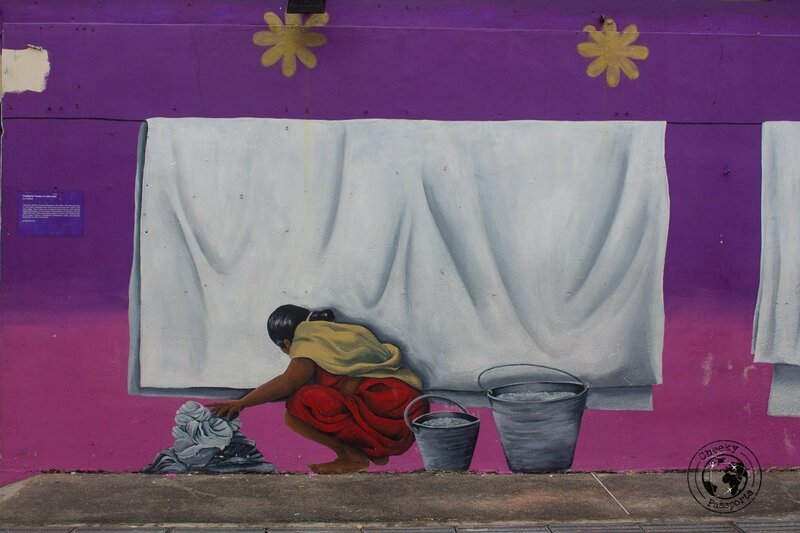 The district is known for its painted houses, vibrant colours and a number of murals along the paths. You can get there by stopping at the ‘Little India’ stop along MRT’s Downtown and North-East Lines. Since its foundation in the early 19th century, Singapore was always at the centre of trade and shipping. This activity centred around a number of warehouses upstream of the Singapore river, to what is known as Clarke Quay. Eventually the business activity and the increasing river pollution outgrew the quay which relocated to more modern facilities. Again, the area found new life as a centre of trade, this time not as a cargo port, but through a variety of malls, shops and restaurants which were carefully integrated in the landscape to respect the architectural value of the area. The quay is now home to a lively district with many venues to entertain its visitors. 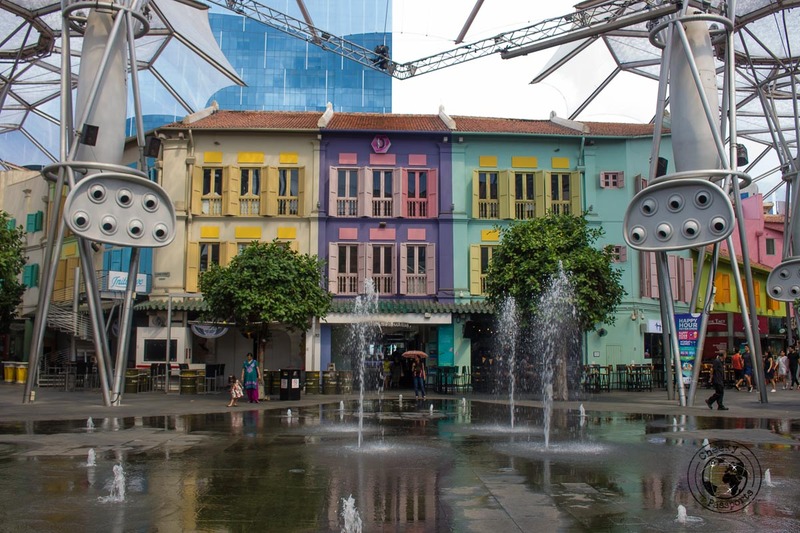 You can get there by stopping at the ‘Clarke Quay’ stop along MRT’s North-East Line. Singapore is home to the Universal Studios theme park, a very popular attraction with tourists visiting the island. The park forms part of the Resorts World Sentosa, on Sentosa island. 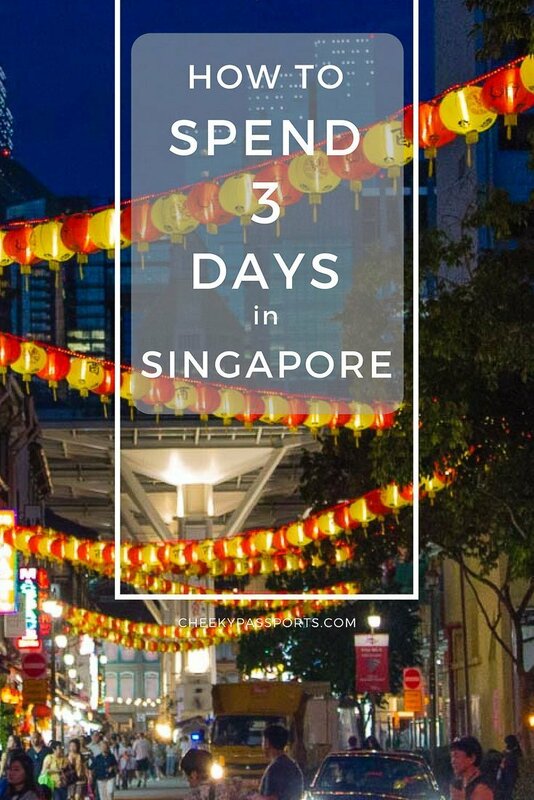 If you only have 3 days in Singapore, we doubt you’ll have time to visit it, unless you wish to drop the other places of interest. We ourselves decided to skip this, in favour of other attractions in Singapore. Oh no, your 3 days in Singapore are over and it’s time to leave already! But hang on a little while longer. We recommend you check in very early for your flight out of Changi Airport, not quite because the check-in process is inefficient, on the contrary, but because Changi Airport is an attraction in itself. Being a central Asian node, Changi’s operations are huge as it handles almost 60 million passengers a year. With all these passenger, one would assume that little individual attention is given to the users right? Wrong! Changi has spared no detail to keep all the passengers entertained. No wonder it has been voted as the best airport for the past 5 consecutive years. The Airport is the only in the world to feature a pool and jacuzzi (accessible upon payment), a free movie theatre, free massage chairs and rest areas, 7 gardens, a koi fish pond, countless retail outlets, restaurants, hundreds of free charging spots, free drinking water and, the very essential modern commodity, free wifi throughout. Not a bad place for a long layover, but if you still have 5 hours to spare and wish to get our of the airport, join one of the free tours organised by the airport itself! This is great! I will visit Singapore soon. This made me excited!